You know you should clean your contact lenses daily, soak them in fresh solution, and swap them out after a week, a month, or however long the box says. You also know you shouldn’t sleep in them night after night — even extended-wear lenses require a breather. And yet, if you’re like 99 percent of contact lens wearers, you break one or all of these rules on the regular. You might simply shrug off your dry, itchy eyes when you wake up still wearing your lenses. Or, after nagging discomfort finally prompts you to pop in a fresh pair, you assume the problem’s solved. While these issues often do clear up quickly, they don’t always. 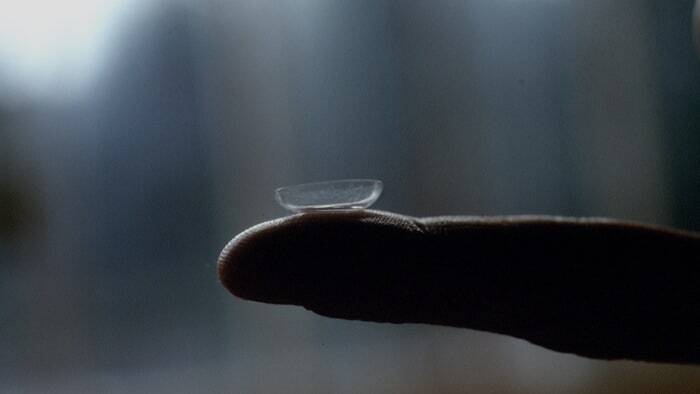 Contact lens misuse can cause severe eye infections, sometimes triggering long-lasting, even irreversible, consequences. According to a new Centers for Disease Control and Prevention report, one in five contact lens–related cornea infections over the past decade resulted in serious eye damage. This included permanent scarring, vision impairment, or even blindness. Of these infections, one in four were linked to easily avoidable behaviors. You know, like sleeping in lenses or wearing them two months too long. The CDC pulled this data from the Food and Drug Administration’s medical device reports, which tend to reflect the more severe cases rather than providing an accurate count of all infections that occurred in the U.S. However, given that 41 million Americans wear contact lenses, the rate of completely preventable contact-related eye infections is actually pretty high, says Dr. Thomas Steinemann, clinical spokesperson for the American Academy of Ophthalmology. Besides gathering gunk, it doesn’t take too long for the plastic to wear out and become very uncomfortable to wear. “Plus, worn-out contacts are even stickier,” Steinemann says, “acting like a magnet for even more germs.” This is why you always want to abide by the wear timeline given by the manufacturer. Sleeping in contacts alone increases the odds of infection six- to eightfold, past research has shown. That’s true even for extended-wear lenses approved for sleeping in. The reason is that normally, the cornea breathes by being exposed to oxygen, Steinemann explains. They get a lot less oxygen when your eyes are closed for several hours. “Then if you have this germ-covered piece of plastic sitting atop your cornea in a closed-eye environment, it creates the perfect storm for infection,” he says. Finally, when storing your contacts, always dump out the solution remaining in your case and start fresh. “Never top off used solution with new solution,” Steinemann says. If you do, you’re basically putting all those proteins and bacteria from yesterday right back in your eye. Instead, rinse out your case thoroughly each day and start fresh with a new case at least every three months.